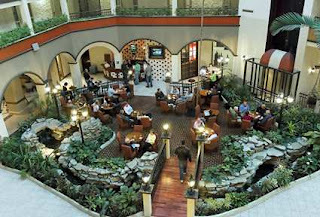 A friendly reminder for those interested in attending our meetup, you have only 21 more days to book a suite at the Embassy Suites Nashville Airport Hotel for the March 20th and 21st weekend. On March 1st, those suites not reserved will go back into the hotel inventory, and will then be offered at a higher rate to the general public. The MEBO Research rate is $99/night for either a two double-bed room or a king-bed room, including a full daily breakfast, 2-hours daily Manager's reception, and airport shuttle service per person. This rate is available for up to 20 suites on the 19th 20th and 21st of March, and is extended, subject to availability, two days before and two days after as well. So far, approximately 20+ people have booked to attend from all over the country and from London. Everyone from around the globe is invited to experience with us our Southern style reunion in our first Annual Body Odor and Halitosis USA Meetup in Nashville, Tennessee. Nashville meetup 2010 : are you interested in attending ?